I’ve never heard anyone say “let’s throw an amazing BBQ with raw chicken and burnt burgers”. Which is weird considering the number of BBQ’s I have been to and this is what has been served. I sometimes think maybe I am the freak as I’m not a fan of this food. Actually, I don’t think this, what I think is I should write an article to help people eliminate this problem. 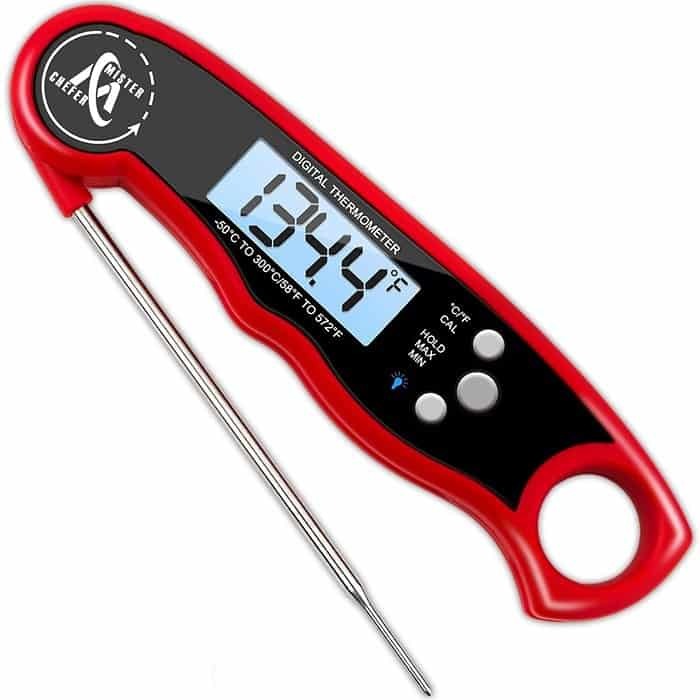 And here it is, the best instant read thermometer for outdoor grilling and BBQ. 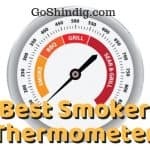 As most of you have come to this page to see what we recommend as the best instant read thermometer, we have given you a quick overview of what is currently the best at three different price ranges. We also recommend where is the best place to buy the thermometer. If you’re here to see more than what we think is the best instant read thermometer, then please keep on reading as we have plenty of supplementary information in regards to these thermometers. The Thermapen 4 is our best overall instant read thermometer. However, this sort of quality does come with a price tag that is at the higher end of the price scale. 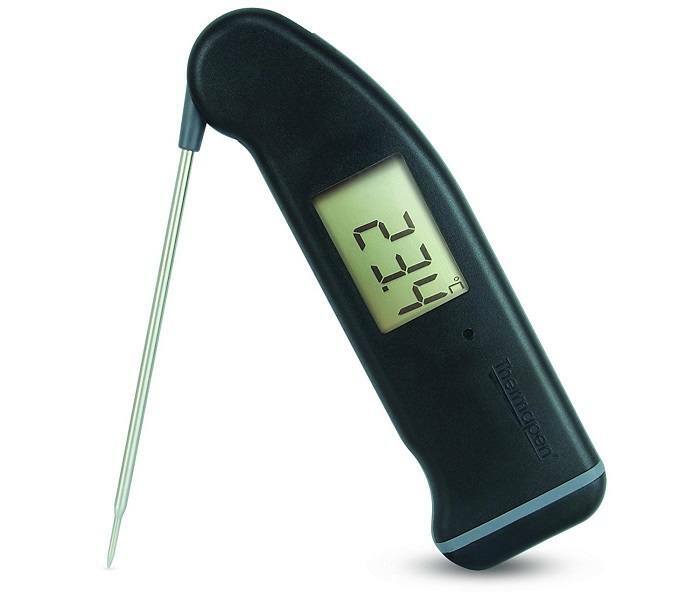 The Thermapen is normally for a pro chef or a hobbyist that takes grilling very seriously. 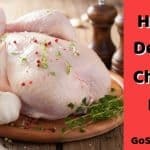 There are many quality instant read thermometers with mid-range price tags but the winner for me is Mister Chefer’s digital meat thermometer. A major factor is that they believe so much in the product that they have given it a lifetime warranty. 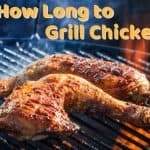 For most weekend grillers a cheap thermometer is all that is needed. Thankfully, being cheap isn’t indicative of an inferior product if you buy the Harbor LCD display long probe thermometer. 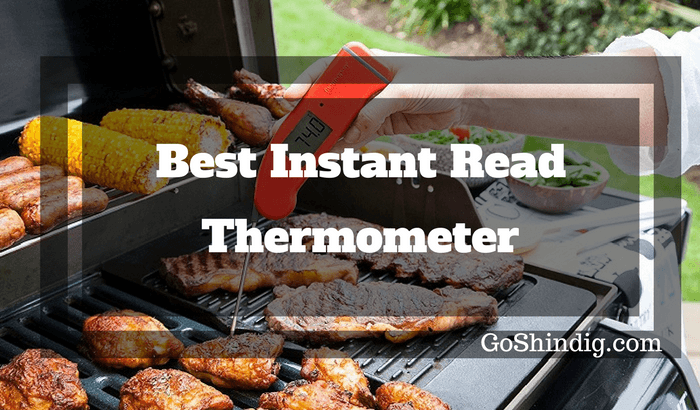 Just like all thermometers, the instant read subsets main goal is to read temperatures – and being a cooking tool, the temperature range should cover all the most commonly cooked dishes. The design goals of any instant read thermometer are to read temperatures as quickly and accurately as possible. It also needs to be easily portable and to have a probe that can be effortlessly inserted into the core of the food. These goals are achieved by having a long stainless steel stem that’s used as a probe whilst on the other end there will be a digital readout of some kind. Ifthis isn’t what you are looking for, below we list some other types of thermometer. I’m very confident that if you buy any of our recommended instant read thermometers you will not be disappointed, but if you don’t like them for whatever reason what should you be looking out for when buying one? The deciding factor when buying any piece of equipment is the price. I’ve seen people use and be happy with five dollar thermometers so I’m sure if money is a major factor then you should still be able to find something that does the job and doesn’t hurt your pocket. But even the most expensive instant read thermometer will not have you taking out a second mortgage – the best being near the hundred dollar mark. 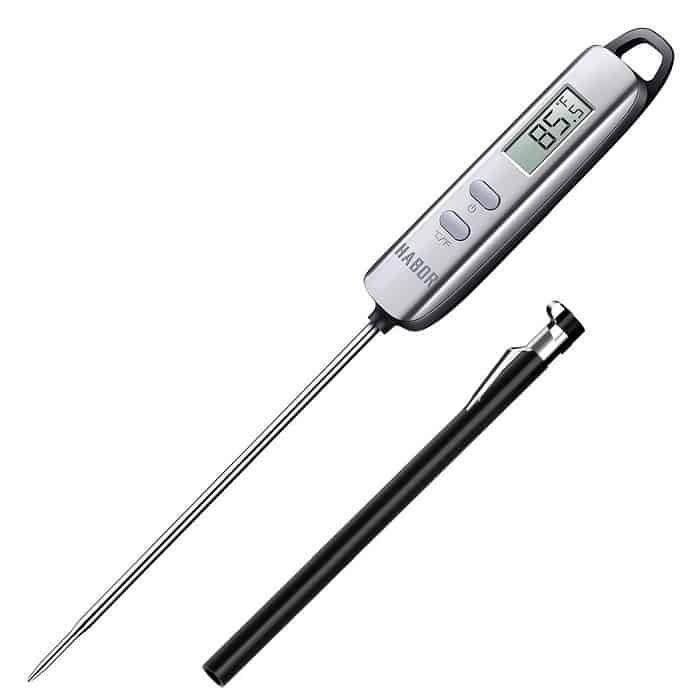 So, as there are good thermometers from $5-$100, I’d recommend buying at a price range you are comfortable paying. The design of instant read thermometers are pretty simple. The most basic design is often likened to a lollypop and will be a metal probe with a fixed (often circular or rectangular) digital display on one end. The more advanced design doesn’t veer much from this basic look but instead of having a fixed display it will be on some kind of pivot which will give you more flexibility when checking temps. Generally speaking, most people will have a BBQ in lovely summer weather. Therefore, checking to see if they are buying a waterproof thermometer is not even on their radar. I happen to think that this is actually an important feature, the weather taking a fast turn for the worse or an accidental spill would be the main reasons you’d think this is important. However, from my experience, it’s a handy feature for outdoor cooking because BBQing is normally accompanied by several beers which could mean that immediately tidying up after yourself is highly unlikely to happen. This can lead to the instant-read thermometer spending several days outside where the risk of getting caught in a shower storm becomes more likely. Having backlighting on the LCD display is another great feature to have for outdoor grilling. Once the sun sets and you want to chuck on them last few hotdogs and burgers you’ll be glad for the backlighting, as not having it makes it really difficult to see what it says. The temperature options will simply be deciding between degrees Celsius and Fahrenheit and once set, most people will never change it. But it is nice to have the option as I find it easier to change the thermometer rather than having to constantly do the maths to convert between the two depending on whether the recipe I am following is in Celsius or Fahrenheit. To state the obvious, the wider the range of temperature the thermometer is able to read the better, as you have a wider selection of dishes you can cook. But to be honest, once you go beyond a certain range the benefit is minimal. A well-done steak is about 155°F and I cook my pulled pork to 205°F and brisket to 198°F. As you can see, if the only intended use of the instant read thermometer is for BBQing and grilling then you’ll not likely need anything above 250°F. This range should be covered by all thermometers, if the one you’re considering buying doesn’t, then look at something else. Our best instant read thermometer has a range of -58 to 572°F, to give you an idea of what to look out for. Last, but certainly not least is speed. I can hear you saying it’s instant silly, it’s in the name. Unfortunately this isn’t the case and some “instant read” thermometers I have used take up to 10 seconds before displaying a reading. Unless you are a 100m runner a 10-second delay in completing a task would normally be insignificant, but it does become annoying if you need to check the internal temps of 20 sausages – in fact the last one could be burnt by the time you get to it. The most obvious safety point is to be careful with the thermometer around children. The probes are designed to easily pierce through meat, which I’m sure you’re aware, is what we are made of. Most of the more expensive models have you covered with this as the probe folds away safely – with the cheaper fixed probes this isn’t possible. Some do come with sheaths that cover the spiky probe but if it doesn’t have either of these safety features be sure to have a safe place to store it. 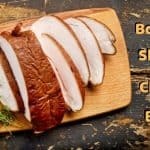 One of my major concerns with outdoor cooking, whether BBQing, grilling or at a campfire, is how lackadaisical some people become with basic food safety rules. Do not use the probe on uncooked and cooked meat at the same time, always have a bacterial wipe (or similar) on hand to clean the probe if this is likely to happen. I really like the Thermapen 4 thermometer, I use it every day!